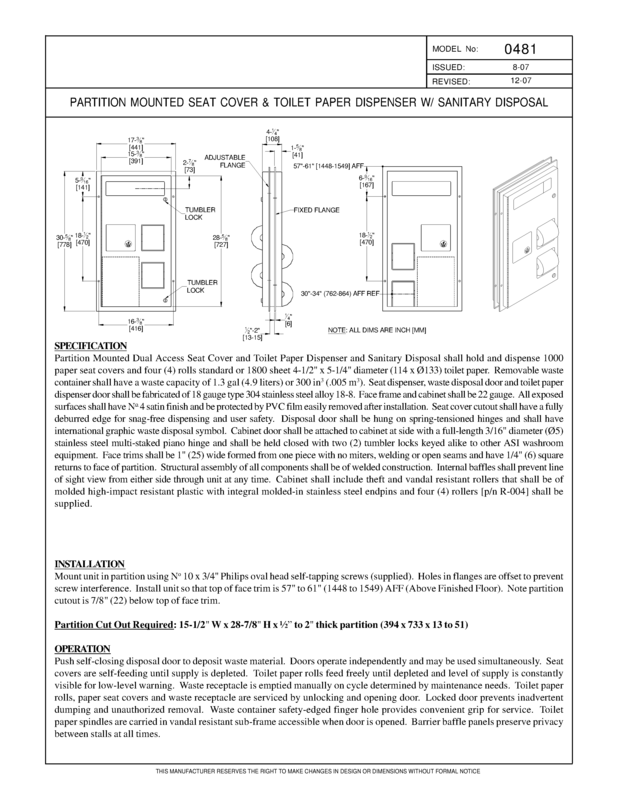 Push self-closing disposal door to deposit waste material. 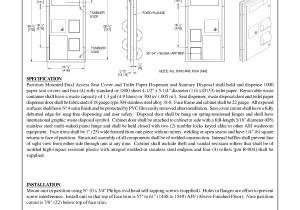 Doors operate independently and may be used simultaneously. Toilet paper rolls feed freely until depleted and level of supply is constantly visible for low-level warning. 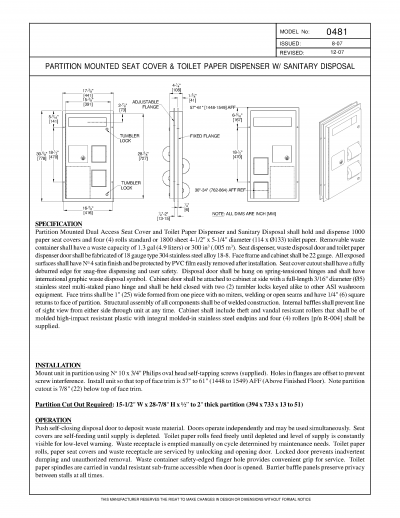 Waste receptacle is emptied manually on cycle determined by maintenance needs. 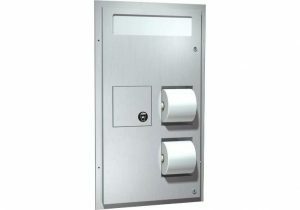 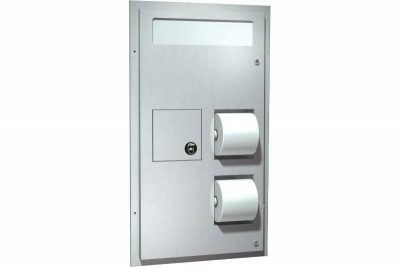 Toilet paper rolls, paper seat covers and waste receptacle are serviced by unlocking and opening door. 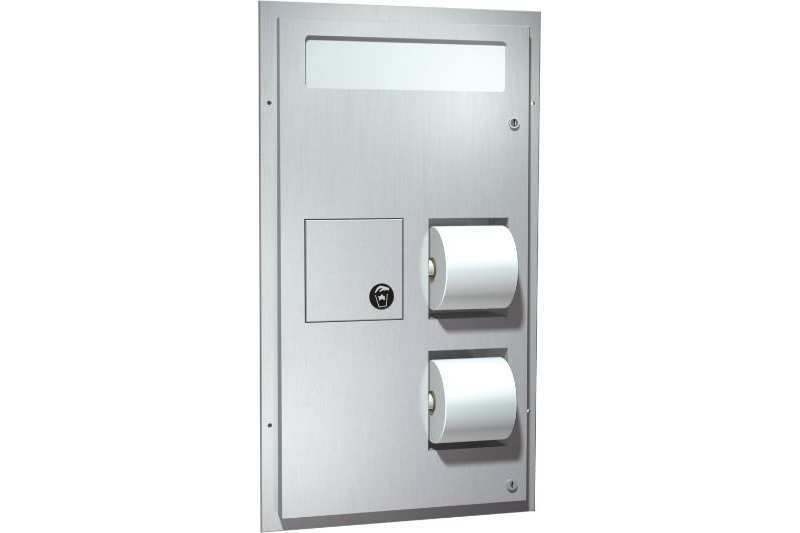 Waste container safety-edged finger hole provides convenient grip for service.